I've been having a lovely and emotional trip down memory lane recently, unearthing photos. Realising, I've seen so many young people grow up over the years and being proud of the work I've been involved in, and how, for some, it's had a big impact on who they are or the paths they've chosen. This means a lot to me. I knew from the first workshop I ever led back in 1998(! ), that I had a thing for enthusing people. I liked that I got giddy round creativity and I liked that it was infectious. I remember about 4 years ago, a young journalist at Cube interviewed the late, great Tony Benn for the magazine. He was typically spot on with his thoughts on power, information, misinformation and democracy, but what I remember most is his advice - '...encouragement is the best things you can give people.' And it's true, such a simple and free gift can have a profound effect. Likewise, so can the opposite. I’ve been having a lovely and emotional trip down memory lane recently, unearthing photos. Realising, I’ve seen so many young people grow up over the years and being proud of the work I’ve been involved in, and how, for some, it’s had a big impact on who they are or the paths they’ve chosen. This means a lot to me. I knew from the first workshop I ever led back in 1998(! ), that I had a thing for enthusing people. I liked that I got giddy round creativity and I liked that it was infectious. I remember about 4 years ago, a young journalist at Cube interviewed the late, great Tony Benn for the magazine. He was typically spot on with his thoughts on power, information, misinformation and democracy, but what I remember most is his advice – ‘…encouragement is the best thing you can give people.’ And it’s true, such a simple and free gift can have a profound effect. Likewise, so can the opposite. I wanted to be a teacher, mentor and facilitator, particularly of young people, because I know all about an absence of encouragement from my own life. The teacher, or parent, with the ‘You can’, that helps create the, ‘Yes, I can’. That lack of positive reinforcement when my family life was volatile, leaving home at 15, and having undiagnosed dyslexia until I was 30, these things all contributed to a very critical internal voice, perfectionism (I’m still in recovery;), and me believing in myself and pursuing many of my interests, (apologetically, and with a good dose of impostor syndrome), later than I could have in life. Speaking of the aforementioned syndrome (which is apparently a real thing and more likely suffered by women, which is no surprise) – one thing I’ve observed with people over the years – the ones who shout the loudest about being this artist or that writer, those who talk the talk but are self-servicing in disguise, and when it comes down to it, not really interested in encouraging others unless it benefits them, those who seek primarily to boost their own self-image – in the end, they are revealed. Worst of all, to themselves. For years, I thought I was the impostor in the company of people like this. But I was the threat who didn’t know my own power or worth back then. And rather than encourage the opposite, I think those kind of people have a radar for it, and do the reverse, however subtly, because it’s a quick way to boost a fragile ego. Now I see it was often the other way round. Faking authenticity is where the real impostors are at. They could do with the syndrome part! Oh, the things I wish I’d known back then. Anyway, here’s to elevating and encouraging others. Especially those who don’t yet believe. It really is one of the best things we can do. Unless, of course, we’re feeding an ego that really doesn’t need it. To Encouragement Syndrome and its rightful infectiousness! That reminds me, the Cube archive is something I really want to get up online. It’s such a great time capsule of the energy and interests of youth in the early 2000s. Now I feel old! This just made me laugh and seems apt. 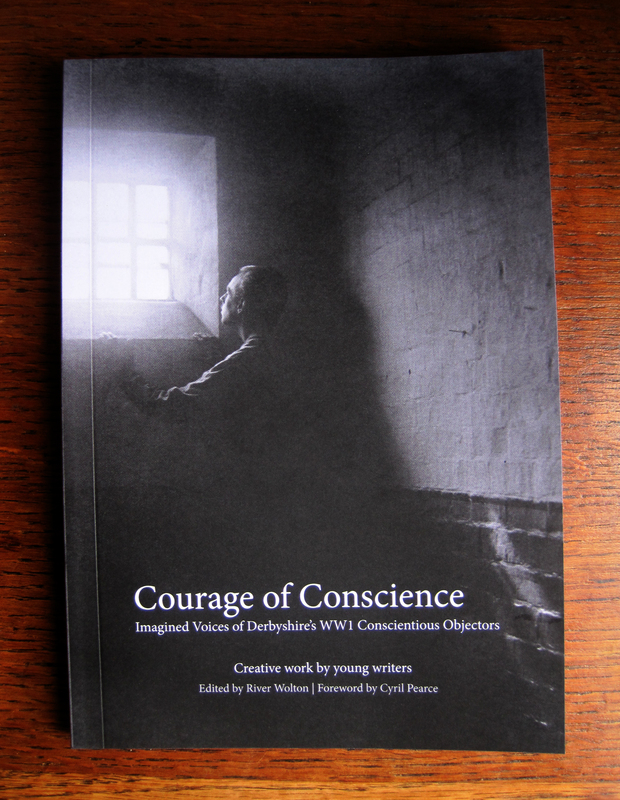 Delighted to receive a copy of a book I recently designed in the post today – Courage of Conscience: Imagined Voices of Derbyshire’s WW1 Conscientious Objectors. The book is made up of research and creative writing by young writers from Derbyshire with support and editing from poet, River Wolton. Some really valuable research has been found during the course of the project and the young people have really brought alive the stories and voices of many forgotten Conscientious Objectors from the Derbyshire area. I also got to use some great photos for WW1, including the arresting cover photo of a Conscientious Objector looking through a prison window. If the book sounds of interest, you can purchase a copy soon I believe at Chesterfield’s ProPeace. 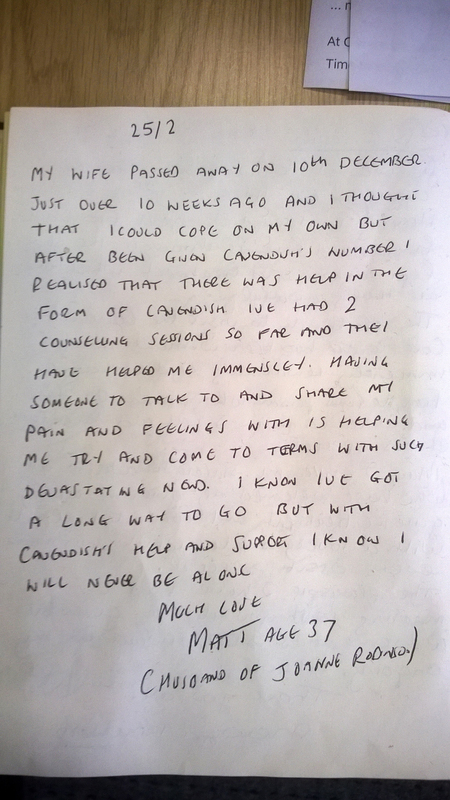 www.cavcare.org.uk – Cavendish Cancer Care support local people who are living with cancer. We give them and their families the chance to talk in confidence and offer complementary therapies to support their recovery. We’re a Sheffield charity and since 1991, we’ve been helping people across South Yorkshire, North Derbyshire and Nottinghamshire. While routing out projects for the site, I found a piece I wrote for NAWE (National Association of Writers in Education) in 2014 following making Dyslexic & Loving Words, a film I made about dyslexic wordsmiths. If anything chimes with you, please share! I would have liked my first blog post on my new website to be all whistles and bells. Of course, the universe always has other ideas. I’m brain dead from sorting through endless folders. I’m launching the site way later than planned with nowhere near as many projects up as I’d hoped. But IT’S HERE. Finally. And I’m determined to get it finished in terms of back projects within the next few weeks. More soon. I just have 5 EHDs to get through to fish out all my projects…! Sheffield-based writer, creative practitioner and educator (mainly of young people).